Our service range includes a wide range of securico kits wireless burglar alarm, spare parts for burglar alarm system and burglar alarm system. We are dedicatedly involved in offering a wide array of Burglar Alarm System. The offered alarm system is designed to detect intrusion – unauthorized entry – into a building or area. Offered systems are compact in designs and appreciated by clients owing to their accuracy of alarm time & prolonged functional life. Our alarm system is available in different specifications in order to satisfy the need of the customers across the nation. With an aim to stand tall on the expectations of our esteemed clients, we are offering a wide gamut of Spare Parts for Burglar Alarm System. This spare part is manufactured in compliance with defined standards, using premium quality material. Our spare part is accessible in various specifications so as to meet the variegated demand of customers. Suitable for multistory buildings, independent houses, offices and institutes, these systems able to protect valuable items of our precious clients by detecting fire on initial stage. We are an unmatched name in offering awesome quality Burglar Alarm System. Offered alarm system is specially designed by experts in order to detect unauthorized entry and intrusion into a building. 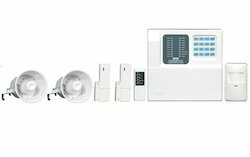 This range of alarm system is useful for establishments, such as shop, industries, offices, multiplexes & shopping malls. 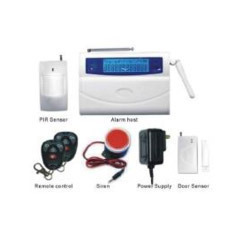 Customers can avail this alarm system from us at nominal rates.